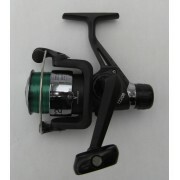 MDI Carp FS-5000 Freespool Fishing Reel (Baitrunner) Pre-Loaded with 15lb Line. 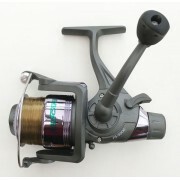 The FS500 FreeSpool Reel is a superb value for money Free spool reel and would make a great Carp or Pike Reel. Designed for Carp/Specimen anglers, will handle big carp with ease, a multi-adjustable freespool system..
MDI Match Black Zip Reel Case - Medium This medium reel case with fit match and feeder sized reels. Features: Strong material Zip access Size 16 x 16 x 8cm ..
MDI Specimen Zipped Green Fishing Reel Case with Mesh Pocket - (Size 20x18x9cm)This medium reel case with fit match and feeder sized reels. 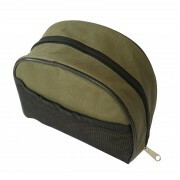 Quality zipped reel case fits most specimen and spinning reels (up to size 50/60 reel). Features: Strong padded material Colour Green ..
TZ40R Feeder Fishing Reel with Pre-loaded with 8lb Line Boxed Ideal reel for feeder or float fishing, can also be used for spinning, making it a excellent all-round reel. Easy to use rear drag system, turn clockwise to add tension or anti-clockwise to release tension, because it is located on th..